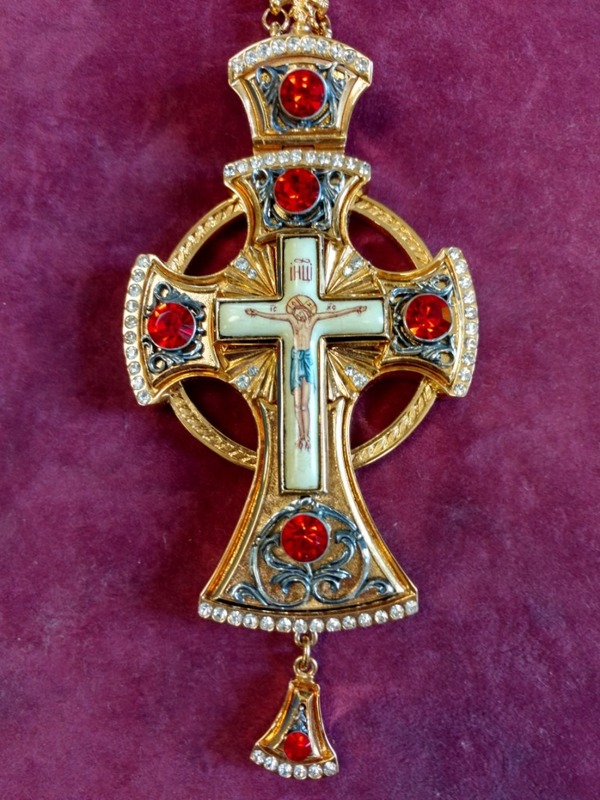 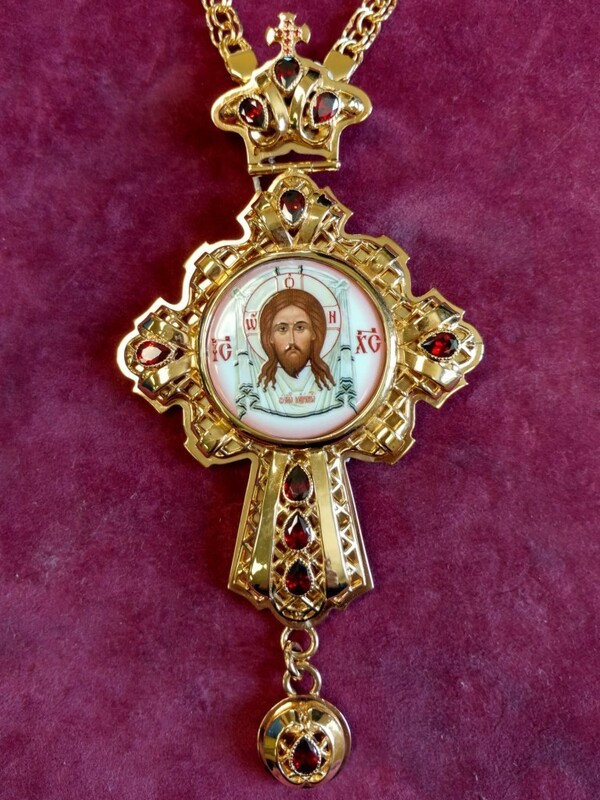 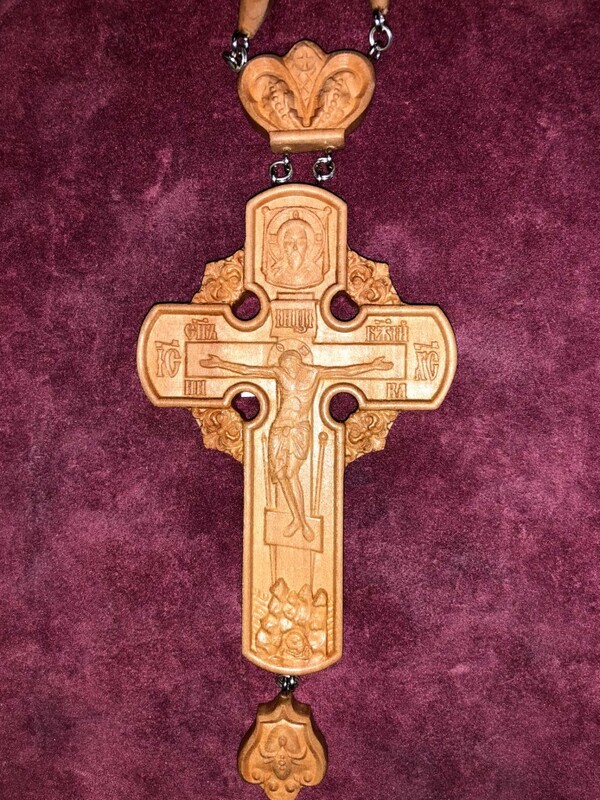 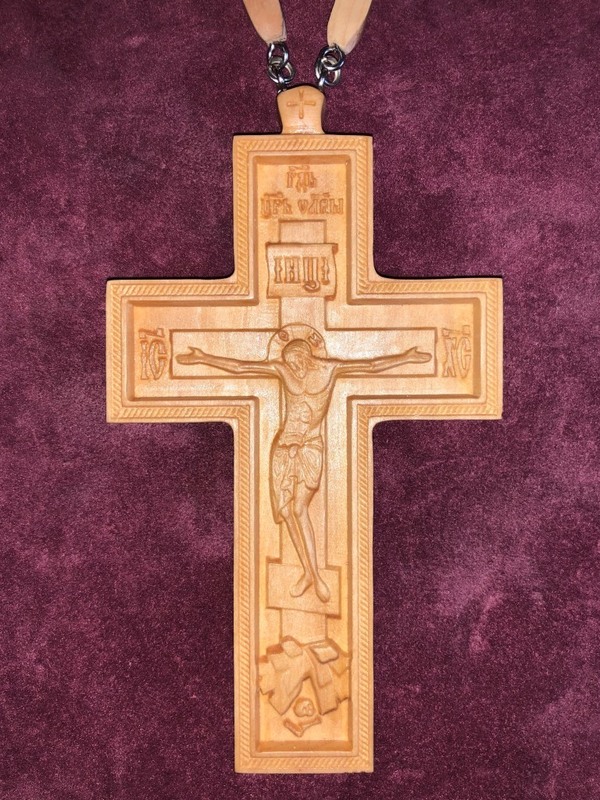 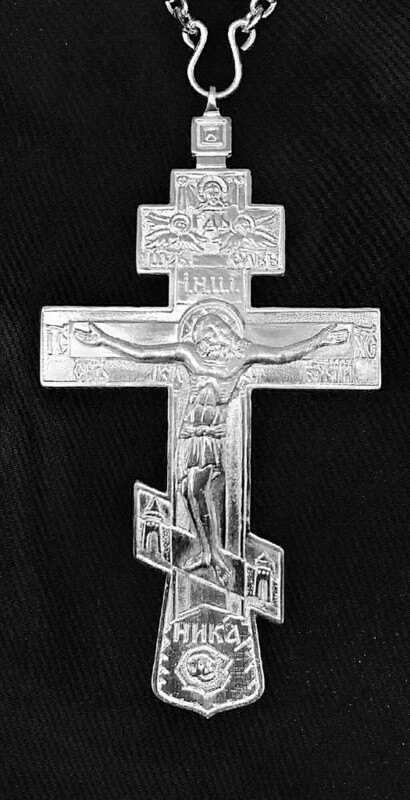 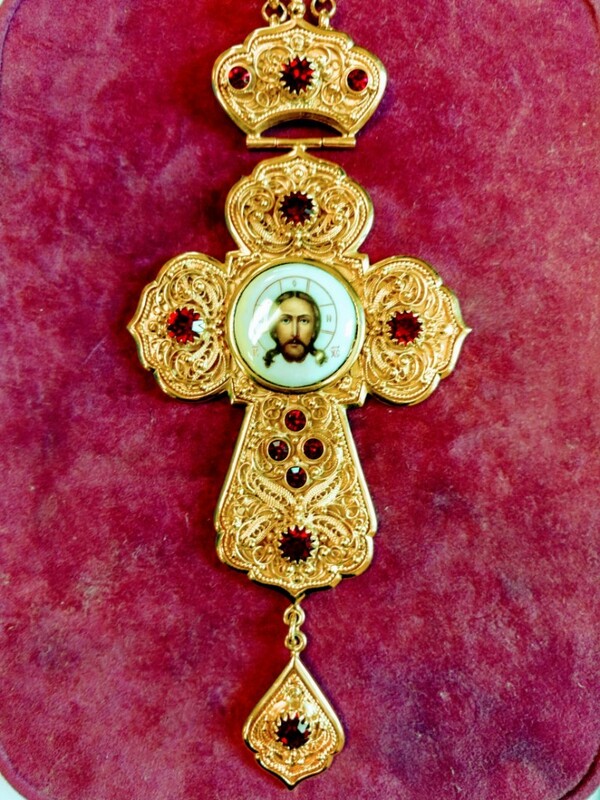 Traditional Orthodox Priest Silver Pectoral Cross. 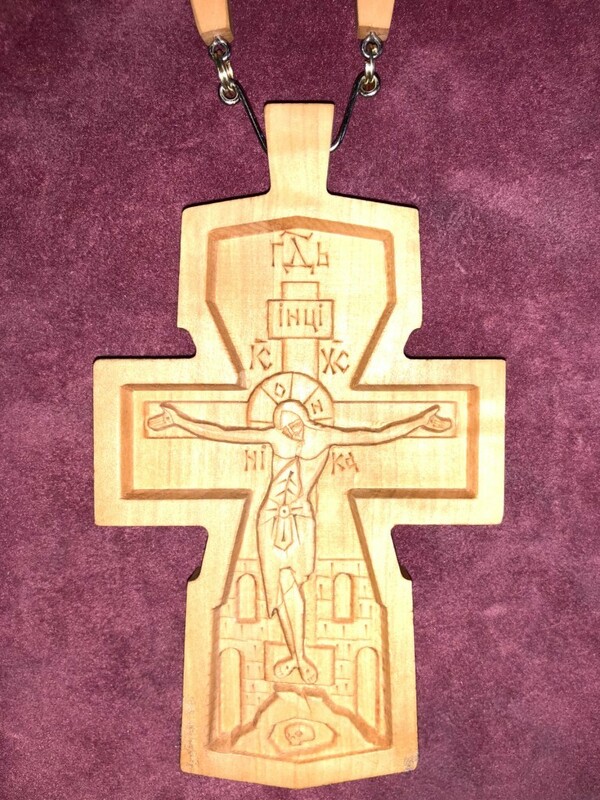 Size 4 3/4" x 2 1/2". 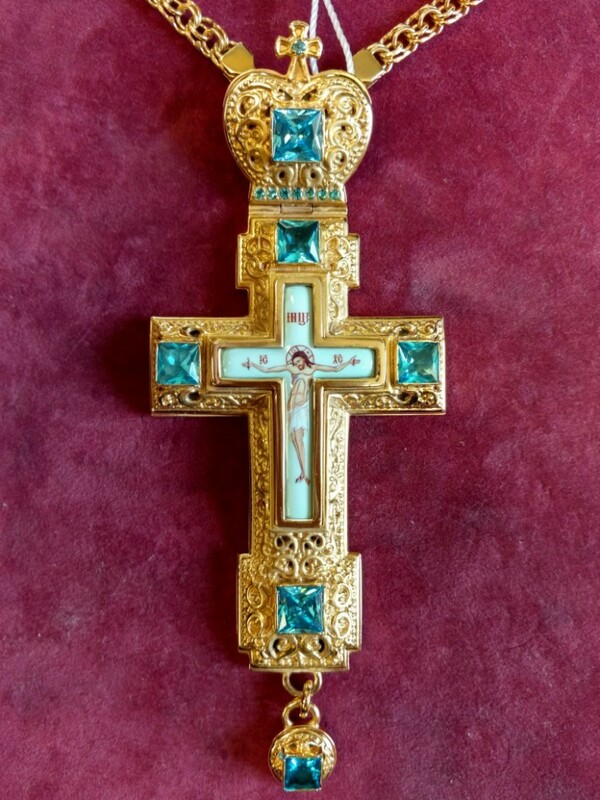 Box size 5.75" x 2.75" x 1.25". 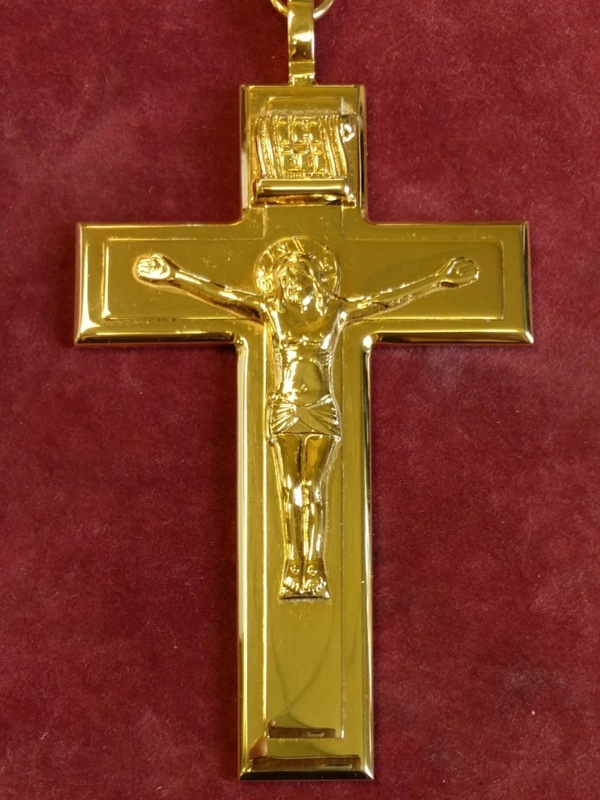 Item includes chain and black presentation box.